The U.S. leads the world in incarcerating its residents, with one in 100 adults behind bars. Over the past 30 years the prison population has more than quadrupled, mostly due to an increase in drug offenses. Most quotas require at least 90 percent of the beds in a prison to be filled, according to a new report by the advocacy group In the Public Interest, and quotas were part of nearly two-thirds of the contracts the group analyzed. 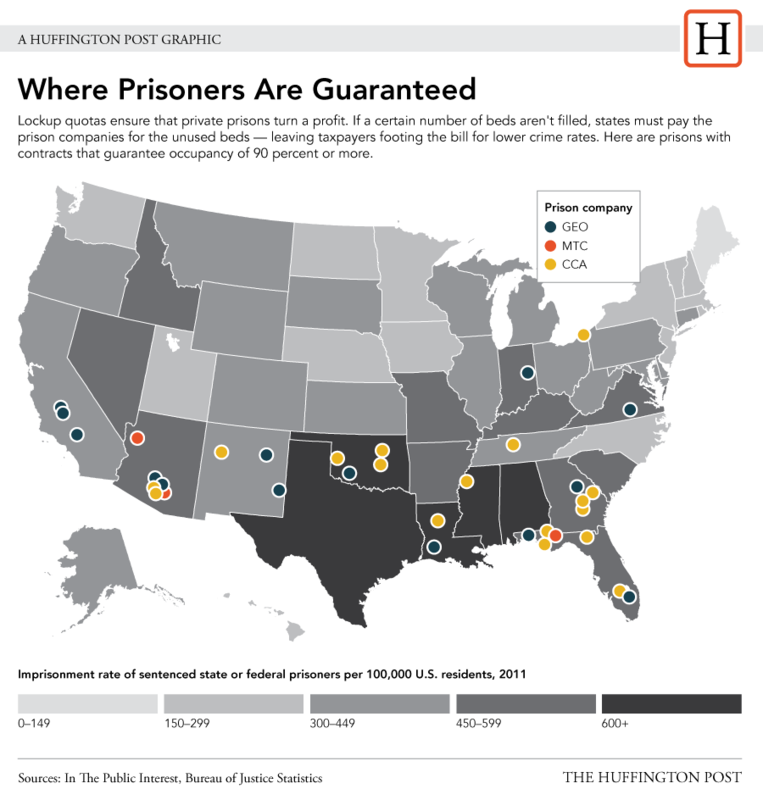 Prison companies use the profits to expand, effectively pulling the strings on state prison populations as lawmakers must incarcerate a certain number of people — or pay. The state of Arizona recently paid the prison company Management & Training Corp. $3 million for empty beds when a 97 percent quota wasn’t met, reported HuffPost’s Chris Kirkham. For more on how the prison industry makes money, click here.